Following the arrival of Barnes & Noble's e-reader products in the UK, today's the day that the company's tablets follow suit. 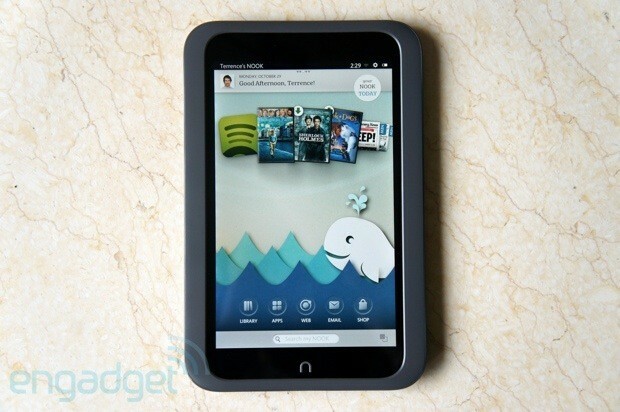 The Nook HD and HD+ are a pair of tasty little high-definition tablets, which can be snagged at stores such as Argos, Sainsbury's and John Lewis. The 7-inch HD can be yours for £159 with 8GB storage or £189 for 16GB, while the HD+ is priced at £229 for 16GB and £269 for 32GB.